There is a lovely group of girls I have been friends with online for a while now. Over the last couple of years we have done a few seasonal or themed holiday swaps. 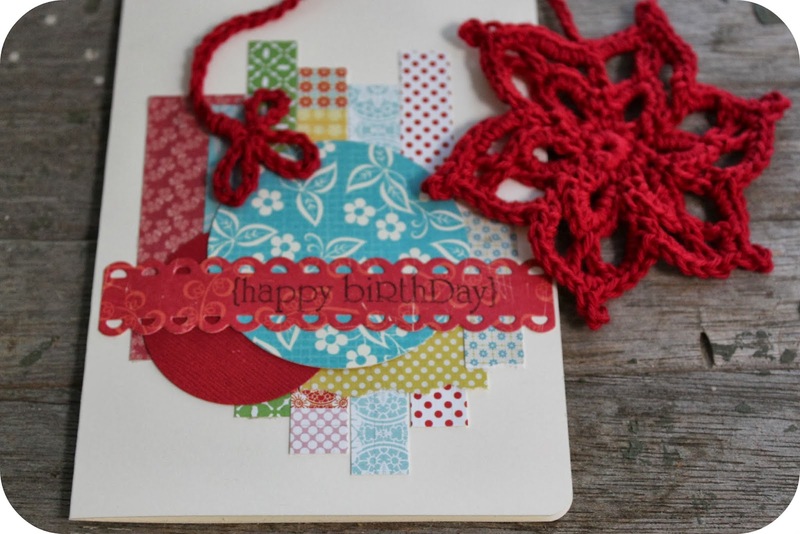 Late last year the idea was proposed that we do a 'birthday club' amongst our existing swap group so when the members Birthday Rolls around they receive 11 handmade cards and little gifts in the mail. January was Georgie's Birthday and this is what I worked on from the information she had shared with us. 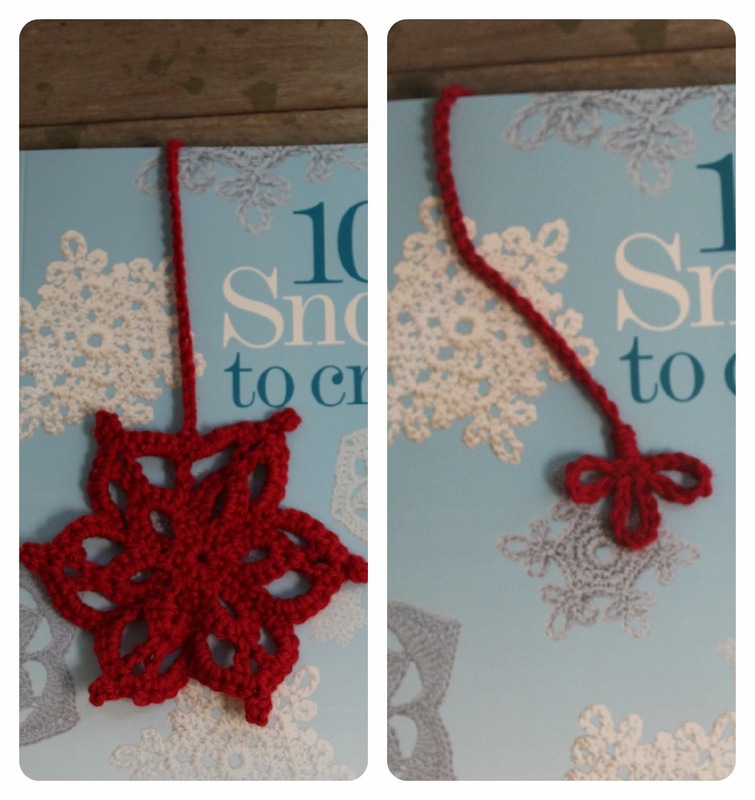 I crochet a cotton bookmark using a motif from the "100 snowflakes to crochet" book by Caitlin Sainio. I changed the scale and had a slightly miss matched gauge, I'm really happy with how this flake turned out so flower like! I fashioned the tail motif myself based on what I have learned from that book about creating crochet picots. this was a really fun little project to work on and I see more bookmarks in my future. I made a red dominant card form some of my favourite paper scraps. There are twelve of us in the club and we are spread out across the year with only one month empty and thus only one month shared! Such a happy co incidence. I aim to gift primarily handmade items in my swap parcels. 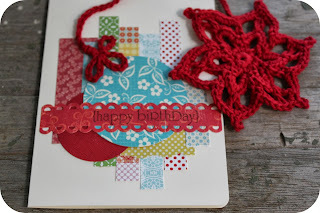 I'm looking forward to the incentive of creating at least 11 handmade birthday cards this year. I'll share my birthday club makes here each month once I know the recipient has opened their gifts. Oh, I love your bookmark, what a lovely gift to receive with a handmade card! I also love your blogs fresh look for 2014, the simple header and cute signature look great. What a great idea, Tammy. I love that bookmark you made. I will have to polish up my crochet skills this year I think. I think I need to make myself a pretty book mark too!